Babette Wasserman received her education at the well-known St Martins College of Art in London. She created her own studio in Notting Hill more than ten years ago. She is internationally famous for her innovative and ultra modern pieces in semi-precious pearls and sterling silver. 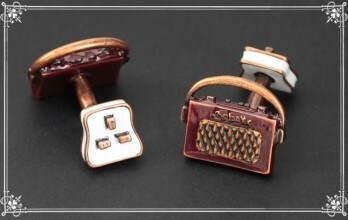 Many of her cufflinks use different materials on either side to make them reversible and surprising for those who wear them !